Lt. Brad Snyder before the 2012 Paralympic Games. Navy photo. 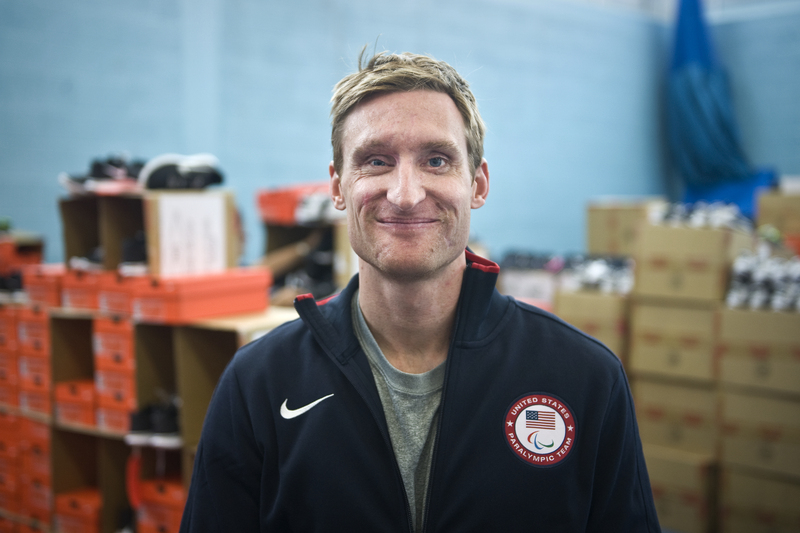 Just two months after winning gold at the 2012 London Paralympics, Lt. Brad Snyder is partnering with Delta Gamma fraternity to help blinded veterans regain their independence. Delta Gamma’s new initiative, Service for Sight: Joining Forces, was launched on Veterans Day. Though the Greek organization already supports sight-related charities, donating $300,000 in 2011, this new program will specifically help blinded veterans. In September 2011, Snyder was leading an explosive ordnance disposal platoon in Afghanistan when he triggered an improvised explosive device. The blast left him irreversibly blind. Delta Gamma is working with the Defense Department to create a list of approved organizations that collegiate members can work with, according to Mary Ellen Hardies, director of communications for Delta Gamma. Organizations already approved include: the Veterans Administration, Blind Veterans Association and United States Association for Blind Athletes.